Whoever says breastfeeding is easy is a liar. Whew, glad I got that off my chest. Breastfeeding is hard. Just google it. I know how hard it is after breastfeeding two children. But then I was also working full time, so that added a layer of difficulty to it, in my opinion. But even if I only worked inside the home (because I did stay home for a year and half one time when my kids were young and, boy, was it work! ), I don’t know that it would ever be easy for me. There are things that I wish I had known when I was breastfeeding. 1. Have some formula in the house. When you’re exhausted in the middle of night from dealing with a newborn day and night for days, you may not have the stamina to feed your baby ONE MORE TIME. Read this lady’s experience (#2) when she started breastfeeding, and then maybe you’ll understand. And for those women that try to guilt you into thinking formula is the worst thing for your child, it’s not. Sometimes women don’t produce milk or don’t want to breastfeed and there is no shame in that. 2. Make sure you’re getting enough calories. I know that most women love to breastfeed because it helps in weight loss after the baby is born. Unfortunately for me, if I didn’t eat ALL THE TIME, I never made milk. With my second child, I realized that when I needed to make more milk for those growth spurts, all I needed to do was eat more. It was amazing how I could literally see where the calories were going. It was so easy to produce an extra 4 ounces of milk when I ate an extra sandwich or apple. 3. Night sweats may happen. You are in your prime childbearing years and yet, you’re having night sweats. Sometimes it can happen. 4. Drink lots of fluids. Sure, all the breastfeeding books and websites say to drink plenty of liquids, but sometimes you don’t really understand how important it is. 5. Your fingers and feet ARE NOT supposed to tingle. During the day at work or at home at night, my fingers would tingle. It was so bad I thought I had carpal tunnel syndrome. It made my day to day home and work activities hard to keep up with. My feet would also “go to sleep” making it hard to walk at times. 6. Your knees and legs ARE NOT supposed to hurt. My knees and lower legs hurt so much that I couldn’t keep my legs still and sitting in one position too long was like torture. It was like a deep, bone ache that wouldn’t go away. At night in the bed, I would lie in that one position where my legs wouldn’t hurt so I could get some sleep. It was agony. I went to my primary care provider (PCP) and my OB/GYN and asked some of my friends that are MDs what they thought could be going on with me since I was dizzy, had tingling hands and feet, and was having night sweats. All of the doctors I spoke to told me I was low in estrogen because breastfeeding inhibits estrogen production. That was probably why I was having the night sweats. As for the dizzy spells and tingling hands and feet, that was probably a result of the breastfeeding too. After I stopped breastfeeding, the night sweats and dizzy spells got better and then stopped. But the tingling hands and feet didn’t. Looking back on it now, I think dehydration was causing the dizzy spells. I was making a little over half a gallon of milk a day, and it was easy to get busy and forget to replenish that liquid. And because I wasn’t taking the supplements I needed and was low in estrogen, I was probably low in calcium as well. Pins and needles in the extremities is a symptom of low calcium. I wish I had known that sooner! Now I do have to say I was a bad patient. I hate taking pills. It’s better now than it was, but a large pill with a bad taste is the fastest way to make sure I don’t take a vitamin or a prescription medicine the way I should. I wish I had had Cal-EZ while I was breastfeeding! It would be so simple for a breastfeeding mother to add Cal-EZ, powdered calcium and vitamin D, to a water bottle and sip it while nursing or pumping. Just think, getting your fluids and calcium at the same time with no taste. It couldn’t be simpler! Try adding Cal-EZ to your water or other beverage while breastfeeding. 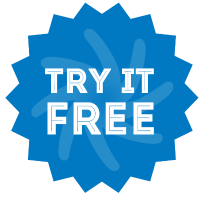 You can try it free to see how well it works.